Here’s the upside of the polar vortex: it probably won’t be that bad of a tick season this year. -Check all outdoor pets and make sure they aren’t bringing ticks into the house (and check them because they can get Lyme Disease too, and it will help if you can tell your vet they’ve had a tick bite so your vet can diagnose!). -Going for a walk or a hike through nature? Wear long sleeves and pants, and tuck your pants into your boots. (Try linen if it’s hot out). Wearing lighter colors will help you spot ticks that get on your clothes (and be cooler). -Outside all day? Take regular breaks to check for ticks and brush them off clothes. -Steer clear of wildlife, which can be sources for ticks. As fun as it may be, don’t encourage deer or other animals to hang out in your yard. -When you come inside, do a full body check for ticks. The sooner they’re removed, the better. 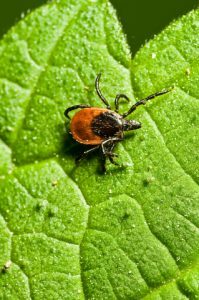 Ticks are best known for spreading Lyme Disease, but can also be responsible for babesiosis and rocky mountain spotted fever. 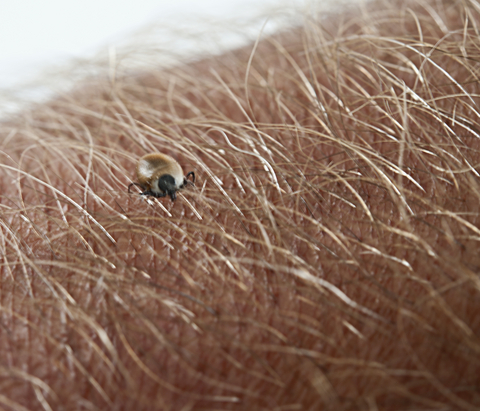 If you get bitter by a tick, watch for a rash, fever, or other signs of illness. If you spend a lot of time outdoors, or live in a heavily tick infested area, make sure you mention that to your doctor during your visit. What are your favorite summer activities, and how do you avoid ticks?